2. The fighter plane that is so advanced it can’t be flown by a human without the help of a computer. Plane’s delta wings and small fore fins create a pressure (lift) point which is forward of the centre of gravity during subsonic flight. 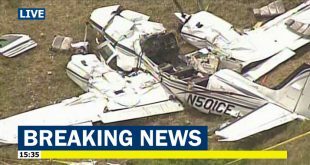 And that means it is impossible for a human to fly the plane without the aid of a complex computer system that makes constant adjustments to the wings’ flaps quicker than the pilot could. Once the speed of sound is broken, though, the pressure point moves back and the aircraft becomes much more stable (although the computer aids remain). 3. It’s what’s known as a swing-role weapon system, which means that it is capable of different operational tasks and can even switch from one duty to another on a single mission. 5. 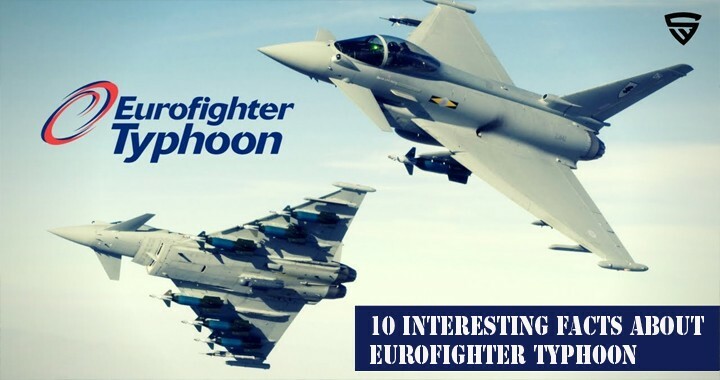 Eurofighter is incredibly maneuverable due to its “relaxed stability’ design, which is a reassuring way of saying that the aircraft is inherently unstable, especially at subsonic speeds. 6. The Eurofighter is remarkably compact the wingspan is 10.95 meters (less than that of a WWII Spitfire) and the length is 15.96 meters. 7. The Eurofighter’s twin Eurojet turbofan engines combine a jet nozzle with a ducted fan. This allows efficiency at low speeds combined with the relatively quiet operation. They are equipped with afterburners (shown in operation here) which inject neat fuel into the jet stream to give a short increase in power. 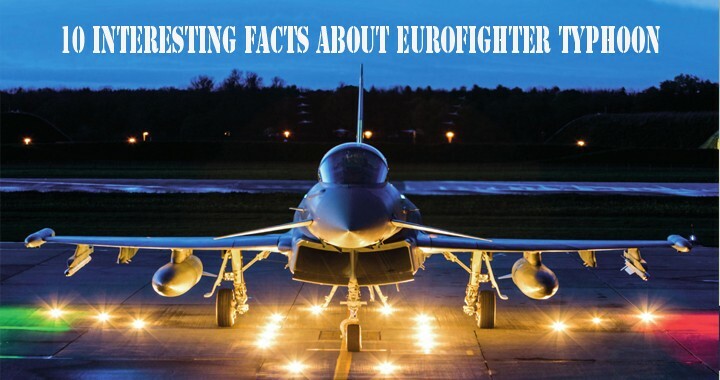 However, the Eurofighter can cruise at supersonic speeds without afterburner help. 8. 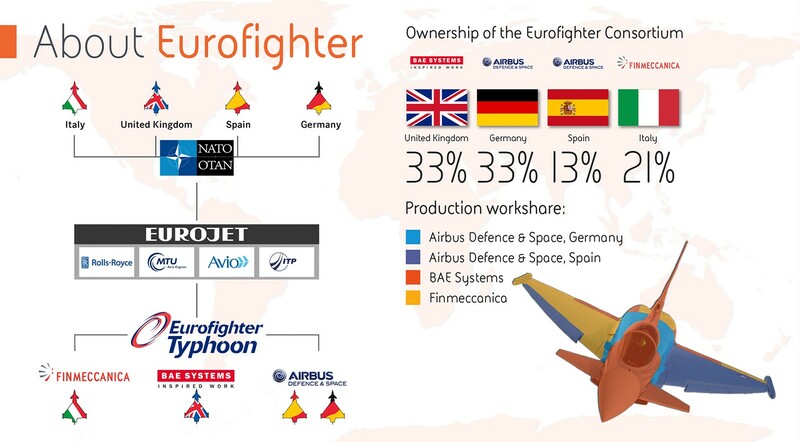 Eurofighter has Stealth fuselage – A low frontal cross-section and the use of carbon fibre (70 per cent) and glass reinforced plastics (12 percent) help ensure the Eurofighter can avoid detection by enemy radar. Metals, mostly aluminum and titanium, make up just 15 percent of the body. 9. The pilot can eject from the Eurofighter at speeds of up to 600 knots. 10. Eurofighter hhasAdvanced ECR-90 radar can track multiple targets at long range.